A French policeman shot three people dead on a street near Paris in an apparent domestic dispute, before killing himself, media reports say. His girlfriend, as well as her mother and her sister, were wounded in the incident, which occurred late on Saturday in the town of Sarcelles. Those killed are said to be the girlfriend’s father and two passers-by. 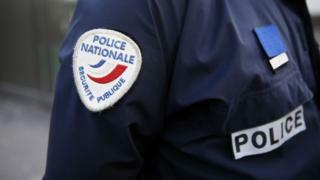 The mayor of Sarcelles, north of Paris, said the woman had recently told the policeman she was breaking up with him. The officer first killed two people with his service weapon on the street, Le Monde newspaper says. “They were local residents – I knew them well because I lived on this street for 10 years,” Sarcelles Mayor François Pupponi told AFP new agency, adding that they had no connection with the policeman. The 31-year-old then shot his girlfriend in the face as she was sitting in a car, the reports say. He also fired on her mother, father and sister, before turning the gun on himself. His body was found in the front garden of a nearby house.